Every now and then, if we are lucky, we find an author whose words seem to speak directly to us in ways we wish we had said ourselves. That’s how I felt when I first found a book written by Palmer Parker over two decades ago. 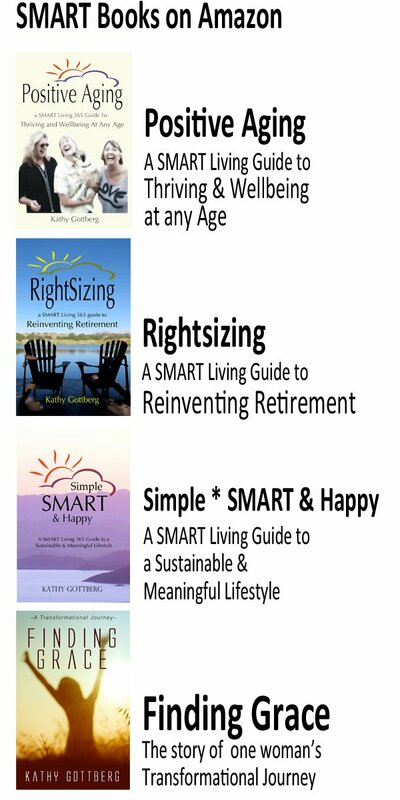 So, when I learned that his latest book touched on aging, I didn’t hesitate to send him a Facebook private message asking if he provided review copies. Not only did he respond personally by email (because that’s the kind of man he is), he sent me an autographed copy hot off the press. His new book, On The Brink of Everything—Grace, Gravity & Getting Old is a collection of essays that covers aging well along with other topics facing the world today. For all of us who appreciate a wise, authentic and often transcendent voice about issues that matter, it is my deep pleasure to introduce you to Parker Palmer. My first exposure to Palmer came from an attraction I had for creating community. Back in the mid 90’s Thom and I co-created a spiritual organization we named Palm Springs Center Of Positive Living. We birthed the group out of a deep desire to be a part of something that explored universal spiritual understanding and awareness as an alternative to traditional religion. However, after nine years, the challenge of keeping a group of free-thinking, nonconformists together proved challenging and exhausting. By the time I found Palmer’s work and his focus on community, ours had dissolved. But something between the pages of his book and his voice in my head helped me understand and appreciate how some organizations and groups of people can thrive and come together when certain practices are embraced. All these years later, I am still fascinated by how people come together in community—or not. What is it that draws us together or repels us from one another? According to what Palmer shares, it is usually our ability to embrace paradox—seeing beyond the logic of either/or thinking, to the paradox of both/and. As Palmer says, “Living paradoxically is key to personal wholeness, which depends on the ability to embrace one’s self-contradictions.” Perhaps it is that paradox of wanting to be part of a community while simultaneously craving solitude, that drew me to Palmer’s work in the first place. At any rate, his ongoing prophetic and poetic exploration of discovering the hidden wholeness within our true self, each other, and the world is an awareness I seek on a daily basis. So, what does Palmer have to say about aging that is different from what others are sharing in these times? 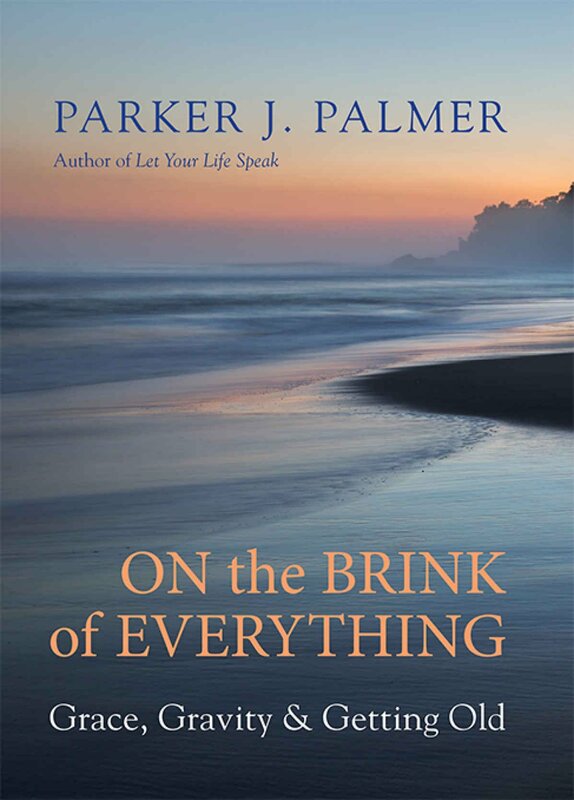 As he nears 80, Palmer admits “…I like being old because the view from the brink is striking, a full panorama of my life—and a bracing breeze awakens me to new ways of understanding my past, present, and future.” With such insight, he says, “We have no choice about death. But we do have choices to make about how we hold the inevitable—choices made difficult by a culture that celebrates youth, disparages old age, and discourages us from facing into our mortality. The laws of nature that dictate the sunset dictate our demise. But how we travel the arc between our own sunrise and sundown is ours to choose: Will it be denial, defiance, or collaboration?” Collaboration? There’s that idea of community again. 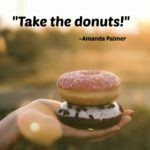 While I typically avoid politics when writing here on SMART Living 365, I continue to feel a deep resonance with the approach of Parker Palmer. He does not shy away from claiming that we live in perilous political times. However, he is clear that we “must engage in civil discourse across political divides, without compromising our convictions.” And regardless of how difficult that is, we must stay awake “and help midwife the rebirth of America, hoping that our national nausea in this moment is just another symptom that our country is pregnant with change.” It is exactly that subtle sense of humor along with deep truth that highlights why I find Palmer’s insights so engaging. Every time I read the words of Parker Palmer I am inspired to be a better writer and more importantly a better me. His words guide and enthuse me without claiming to have the answers. 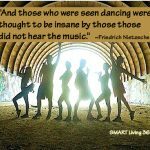 So much of the philosophy behind SMART Living 365 exists in the words I read in every one of his books. And while I often feel I fall short of that intention, as long as people like Parker exist to point the way, I celebrate the opportunity to keep doing what I can, where I am, with the choices before me. Okay, your turn. Are you familiar with the work of Palmer Parker or read any of his books? If yes, what is your favorite book and why? If not, do any of the ideas in this post resonate with you? Please share your thoughts in the comments below. I especially liked the section on Palmer’s perspective on writing. For example, “rather than explore topics we think we know a lot about or come from a place of being an authority, he instead suggests that we approach writing with a beginner’s mind. He recommends, “Write about what you want to know because it intrigues and puzzles you.”” I think this is great advice. So often nonfiction writing (including academic writing) can be pedantic and preachy. This strategy invites the reader along on a journey as a co-explorer rather than as an empty vessel to be filled. It also will allow the writer to grow, rather than simply reaffirming already strongly held beliefs. I would like to be Palmer’s kind of writer. You might enjoy this address by Parker Palmer; it still inspires me. So young or old his messages always move me to think differently and to act. I’ve never heard of this author but will be looking him up in the future — thanks for sharing! I might begin with the Courage to Teach…so many books, so little time. Kathy – I’m in the middle of your book (put on hold during my road trip). So far so good! I’ll check out “Let Your Life Speak” also. Thanks! Hi Beth! I will have to go to your blog and read your post about Parker Palmer! I also hope you found his wisdom about activism in today’s time as helpful as I did. I don’t know Palmer Parker’s work but I appreciate a peek into his insights about aging. 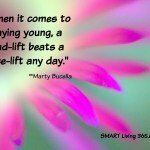 I feel we are a generation redefining what it means to get older and the potential that lies ahead. I think it doesn’t really matter whether we approach it quietly or kicking and screaming. We each have our own journey, however what did really resonate with me was “the only way to become whole is to put our arms lovingly around everything we know ourselves to be”. I, for one, struggle with the ‘dark side’ of my personality. I think we beat ourselves up too often for being ‘human’ and I like the idea of accepting the whole. Your comment reminded me of a conversation I had recently with a friend. She was berating herself for her failures in life. I reminded her that she wouldn’t be the strong, independent person she is today without the experience of those ‘failures’. Through adversity, we learn more about ourselves and life and hopefully it makes us better people. Yeah … it’s always advisable to wait until the crapfest is long in the rearview mirror before playing the whole what-doesn’t-kill-you-makes-you-stronger card. Otherwise it’s a good way to kill a friendship. I do love that feeling of reading an author whose words resonate so strongly that you feel as if he were writing for you and your life. I have read Parker Palmer – The Courage to Teach when I was teaching, and A Hidden Wholeness – when I was not. I enjoyed both and definitely appreciated his lyrical style. Palmer wouldn’t qualify as a favourite author for me but that’s only because the focus on community that you so appreciate isn’t focal for me. By the way, I’m really interested to learn of your experiment in community. your community experiment. Hmm – Should I be calling it an experiment when it runs for 9 years? Despite our different interests, I certainly agree that Palmer is a wonderful author for profound ideas. I enjoy hearing about his perspectives on aging and on politics. Love the reference to ‘national nausea’ and the metaphor of being pregnant with change. Thanks for the review of Palmer’s book, Kathy. Your enthusiasm for his work comes through in your writing. I hope you’ll someday have a chance to meet the man. Hi Karen! Oh I would love the opportunity to meet him someday. And, our community WAS an experiment. In many ways, I felt we were before our time but I also realize that we didn’t have the awareness, understanding and training for what it really required to pull it off long term. But learn? Oh yes, not only about community but about ourselves most of all! 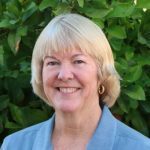 We/I have also been big fans of Margaret Wheatley as well, and her focus on emergent systems and new ways of leadership. Wonderful creative ideas from both but easier said than done–at least for us. And I think because he LOVE poetry and quotes it often that he has a poets heart and that helps him to write with wonderful metaphor. While I deeply appreciate poetry, it does NOT come naturally to me. Still, something to reach for, right. Oh, I’d forgotten about Margaret Wheatley. I enjoyed her work too. It informed quite a few of the activities I did with people who were involved in a year long special project with me when I was at the Board office. He sounds very interesting! I will definitely have to check out his books. I, too, have felt driven to create community, ever since I was 15, actually. It has been fun to rediscover my old blogging community, and to meet some newcomers as well! I love it when you find an author that syncs with what you believe, but also challenges you to look further – sometimes that clarifies your own beliefs more and sometimes it changes your whole level of thinkining on a particular subject. I found the fact that he sees that he’s on the brink and that is really opened his eyes and given him greater insight – I’d like to think that’s what getting older is doing for all of us. Mind you, I’m happy to grow old gracefully and graciously – so maybe I wouldn’t agree with everything he says either?? Thank you for once again introducing me to a wise thinker and writer. As you know, I’m non-fiction challenged so I really appreciate you writing such a clear overview of his book. I love so many of the quotes you shared, especially: “…but how we travel the arc between our own sunrise and sundown is ours to choose.” I’m glad you mentioned that he has a Facebook page and that there are podcasts out there of his interviews. I will definitely check those out. Hi Kathy I’ve never heard of Parker Palmer but what a wise man! I love his thoughts ‘how we travel the arc between our own sunrise and sundown is ours to choose’. Such powerful words and his attitude to life is inspiring. Thank you as always for another interesting and informative post. Have a beautiful weekend and see you next week! So much of this resonated with me as well…Writing is a kind of “public therapy for me” as well. Hopefully others “see me not as an expert but as who I am: a fellow traveler, a companion on the life journey.” I wonder as I move into crafting my refined vision if it’s too egotistical to want be a “wise, authentic voice about midlife and retirement transition?” Because I feel the need to refine my vision right now and love the “Be grateful for the life we have experienced—all the while doing what inwardly we are called to do.” I’m doing a mediation series now to help me better define what inwardly I’m called to do! Also, I didn’t know you were a sometimes-delusional optimist! I’m a struggle-to-stay-optimist myself. 🙂 I’m not familiar with his writing but am intrigued. Too many books on my to-be-read pile right now though. I appreciate your summary even more so because of that! Kathy, thank you so much for this. Parker Palmer is one of the great sages of our time. Let Your Life speak changed my life. I have used The Courage to Teach over and over again in my work. I was honored to attend a session with him once. I look forward to this new book! We all live in paradox. I believe humans were set up that way! Mine is, to quote you, “…the paradox of wanting to be part of a community while simultaneously craving solitude.” Like many, I probably have a few more! I agree with Palmer Parker on so many levels. And I appreciate how clearly you have laid this out for us! Politics worthy of the human spirit, love that! I am not familiar with him nor was I aware of your group! From your review his words do seem to resonate with me. Thanks. Mr. Palmer is spot on when he includes the phrase “across political divides” in encouraging civil discourse. “It’s my way or the highway” just doesn’t work. It takes humility and compassion to really listen to other points of view. I think these are what have made me more mellow, less angry, without losing my conviction, and I am more mindful of the ways I expend my energy (less negative, more positive). First time I’ve heard of him, so thank you for sharing. I’ll keep an eye out for one of his books. You have distilled this book beautifully and I will be reading it. You are a beautiful writer! 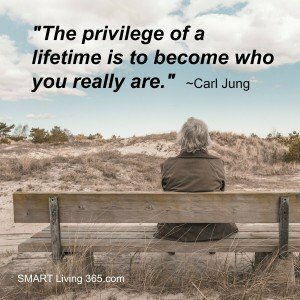 Embracing one’s self contradictions, telling the truth, recognizing there are no shortcuts to wholeness, grateful for our lives and what we are called to do…challenges for us who attempt to age gracefully. I have not heard of this author, Kathy, but your review of this book makes me eager to read it.